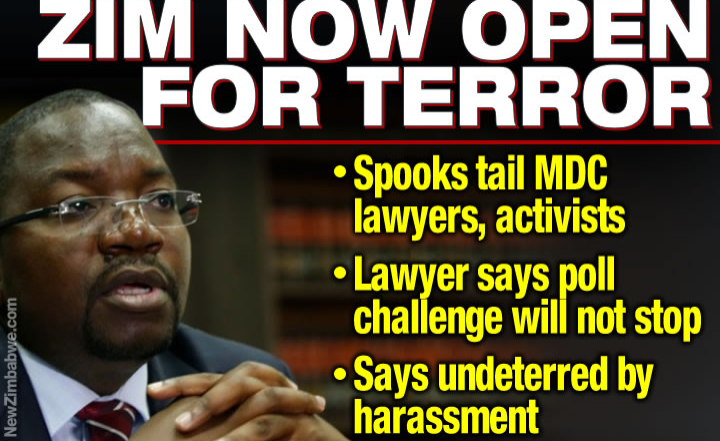 MDC Alliance leader Nelson Chamisa's lawyer Thabani Mpofu claims the main opposition has a "secret weapon" to accompany a court challenge which they are due to mount in a bid to force the reversal of President-elect Emmerson Mnangagwa's controversial victory. He was addressing the media Wednesday as the opposition plots a Constitutional Court challenge against Mnangagwa's declaration by the Zimbabwe Electoral Commission as winner of the country's presidential race. According to ZEC, Mnangagwa got 50,8 percent of the national vote while his closest challenger, Nelson Chamisa got 44,3 percent. The MDC Alliance leader is adamant he beat Mnangagwa cleanly in the poll and that the results announced by ZEC were "fake". Mpofu vowed "the poll challenge is going ahead, prepared, clear and convincing" but, would not divulge on when the papers would be submitted to the ConCourt. "The results that have been announced by ZEC reflect a total negation of the will of the people," he said. "There was fraud, gross theft but Zimbabweans are entitled to their vote, the declaration made by ZEC is going to be challenged. "The relevant challenge has already been made and it is here with us. The evidence that we have amassed is so clear, it is convincing but, this being a matter of legal processes, and procedures, we are going to present all the evidence before the courts." He insisted the evidence that will accompany the poll challenge came from ZEC's own figures. "That evidence derive from ZEC's own figures which in our view, grossly made up which mathematically fail to tally," he said. "Apart from that, we have our secret weapon which we are going to unleash through this court challenge and you are going to see what Zimbabweans said on the 30th of July." Mpofu urged Zimbabweans to stay calm and leave the matter with the courts adding the Alliance's working with many local and international lawyers. Mnangagwa has set Sunday August 12 as the date of his inauguration but this shall depend on whether the MDC Alliance has mounted the challenge or not.